This brisket breakfast recipe is a great way to get some barbecue into your morning. 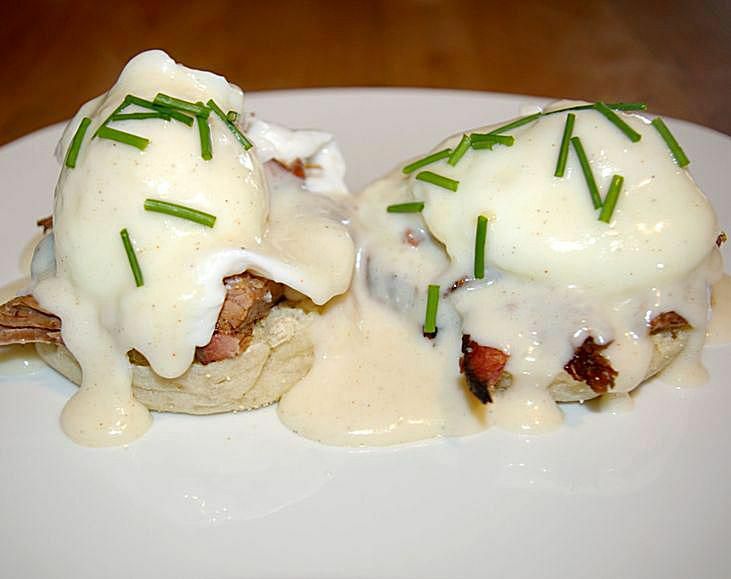 Typically you pour hollandaise on your benedict, but the cheesy bechamel sauce in this recipe goes perfectly with the smoky flavor of the brisket. Place English muffins on a plate. Top with two pieces of beef brisket. Add one poached egg per muffin and pour over 1/4 cup (60 mL) of Cheesy Bechamel Sauce. Add a few dashes of hot sauce if so desired.